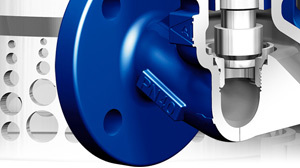 As a decision-maker at your company, you need a strong partner when it comes to high-quality, heavy-duty valves. With 20,000 products in more than 200,000 variants, ARI guarantees you maximum flexibility and economy. No matter how harsh the environment in industry, chemicals, plant engineering, shipbuilding or HVAC, our "one-stop shop" philosophy gives you a carefully coordinated system of product solutions specially tailored to your individual requirements. In the ARI download area you will find CAD symbols, datasheets and operating instructions.